Nurses from outside the European Economic Area looking to work in the UK will no longer have to complete supervised practice placements (News August 6). 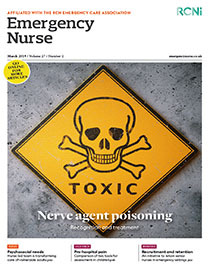 Blaming the new generation of nurses for not being able to undertake fundamental nursing tasks is futile. I read with great sadness ‘I am proud to be a mentor, but am close to despair over standards’ (letters June 12).